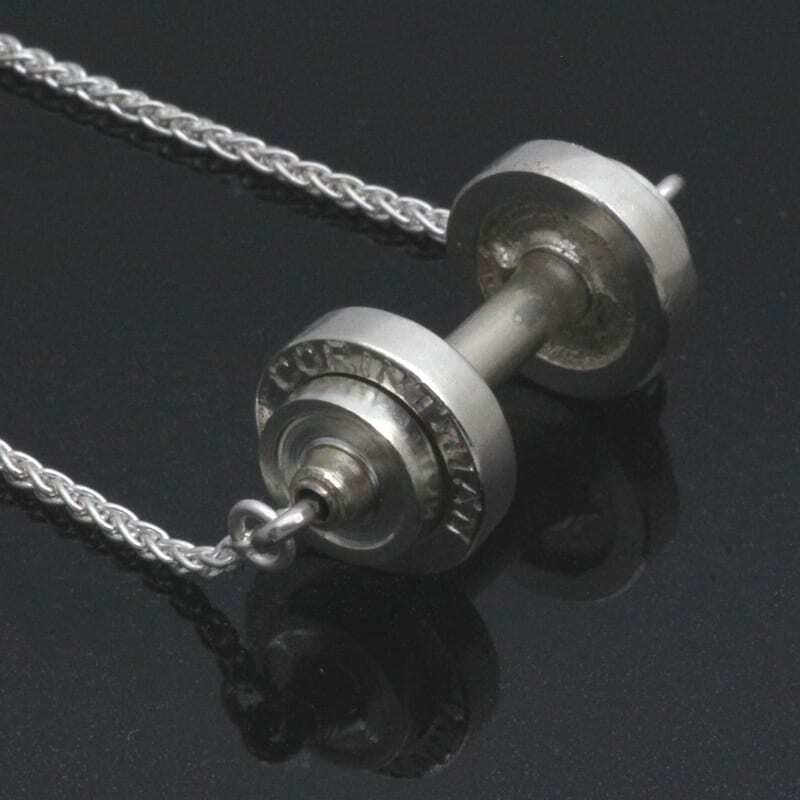 This quirky and highly personal Dumbbells charm pendant was designed and hand crafted by Julian Stephens Goldsmith in collaboration with a client. Our client was seeking a personalised, special gift for a loved one creating a unique necklace that would perfectly suit its new owner. 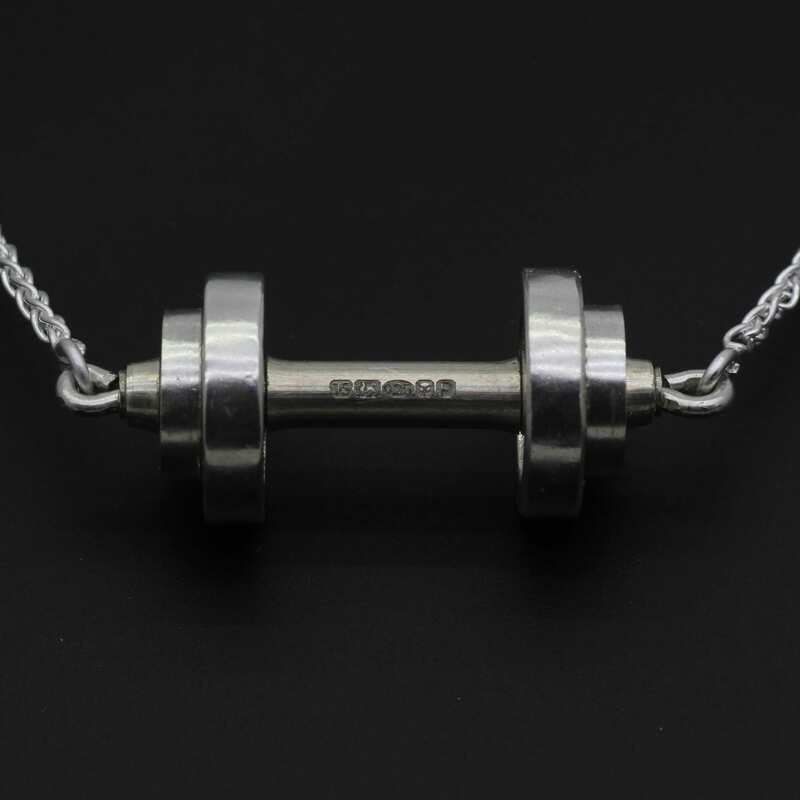 A design was drawn up by Julian and our client which was realised in this playful creation, a perfect miniature replica of a traditional dumbbell weight that is cleverly strung on the necklace chain via a central silver axis, allowing the charm to spin and move when worn. This beautiful bespoke necklace is finished with delicate hand engraved detailing, including a personal message and the design is completed with a high shine polish effect and is strung on solid Sterling Silver Spiga chain. To create your own unique piece of jewellery please contact us to begin a truly individual and very special bespoke commission of your own.